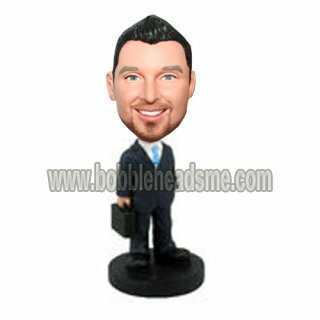 Wearing a black suit with a blue tie, this custom male bobblehead bring his brifecase is ready to go to the office. 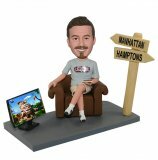 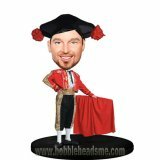 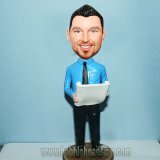 Are you looking for a unique gift for him, this businessman bobblehead is second to none. 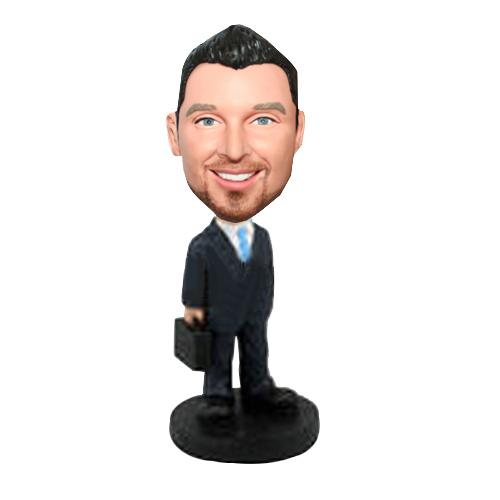 Place one "minime" doll on his desk, he will feel that you love him so much.